Welcome to The Local Crowd Wood County! Hosted by the North Central Community Action Program (NCCAP), we seek to create opportunities for people and communities to obtain skills, identify and utilize resources, and explore innovative options necessary to reduce poverty and increase self-sufficiency. Our vision for this new crowdfunding technology is to enhance our rural community with new business startups, new ideas, new jobs and new connections within the county’s communities. Do you have a project that could use funding and community support? Submit your idea! Wood County is located in the center of Wisconsin. A mainly rural county with three larger cities‑Marshfield, Wisconsin Rapids, and Pittsville. Nekoosa and the Village of Port Edwards are located adjacent to the City of Wisconsin Rapids. Most of the County is bisected by the Wisconsin River, which flows through the majority of the state, finally spilling into the Mississippi River in the South-Western part of the state. Many of the communities linked to the river are paper mill towns and have been for hundreds of years. The River takes precedence over any other physical presence in the County. It provides power for the mills located on its shores, it provides entertainment through boating, swimming, fishing, and other aquatic activities. It is a powerful river that will occasionally flood. Much of the flooding is managed by dams within the area. The river is beautiful in any season and provides a haven for many birds and especially the Bald Eagle, which has returned to the waters. Arable land is taken up in producing cranberries, potatoes, dairy fodder, and dairy cows. Ocean Spray is located here in Wisconsin Rapids with one of its primary plants. Between the crops and dairy products produced in the County, Wood County is prolific in not only beautiful scenery, but many food products that are exported around the country and the world. We are working together to cultivate a stronger ecosystem of investors, service providers and local economy champions to provide access to capital to both the for-profit and not-for-profit sectors throughout the region. By leveraging the power of crowdfunding, Wood County’s platform will help start-up ventures, early-growth stage companies and community-based projects find access to capital. Our regional approach is a unique blend of organizations all tasked with finding and expanding business opportunities to help further grow local economies. Wood County’s platform is a part of a larger crowdfunding project known as The Local Crowd, which received a Small Business Innovation Research Grant from the USDA to support development of the platform and to provide technical assistance to local groups venturing into the crowdfunding arena. A support community consisting of The Local Crowd Wood County team as well as other active campaigns and campaign creators. It will be the responsibility of all selected campaign teams to work closely with the Local Crowd Wood County team to adhere to all established guidelines. The expectation is that all campaign teams will take on the majority of the work that comes with campaign creation and promotion but with access to the TLC Wood County campaign advisors and curators as a means of help and support when needed. A successful campaign team will have a strong understanding of its network of potential supporters, which is the backbone of any successful crowdfunding campaign. 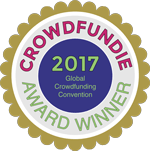 To have a crowdfunding campaign considered for inclusion on The Local Crowd Wood County platform, fill out the application form below.